Am I the only one who liked the Ray Allen/Sam Cassell era purple and green Bucks? As a Bucks fan, these were my favourite years uniform-wise. I liked 'em as well. Bucks can bring back the classic green rainbow and deer, but... they need to keep the realistic deer for the alternate! 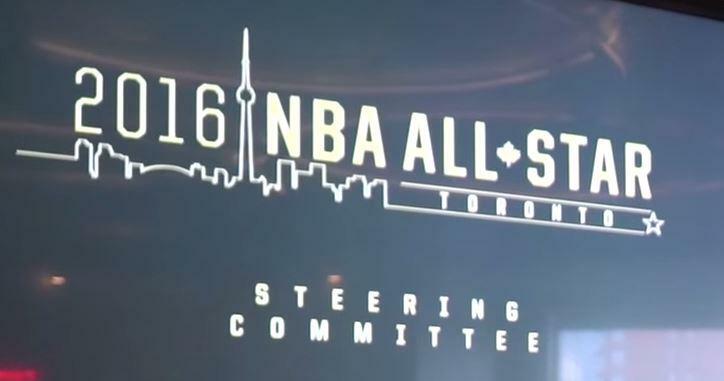 I dont think it's quite an "official" logo for the event. Maybe it's just for in-house use when talking about the event? Either way, it's kinda cool and I wouldn't be mad at something of that sort for the real logo. You know, this uniform has always fascinated me. I can do without the buck on the front, or the gradient-y design on the shorts, but this particular color scheme is stunning. The green is a great shade for a primary color, and the purple and black as a trim really, really works with it. Better than the red does - and I usually like green and red together. It's a color scheme you don't really see anywhere else right now, and I also always felt like it had a very "outdoorsy" feel to it. It makes me wish the Bucks had been Green-Purple rather than Purple-Green in the 90's-00's. Now all that said, I still lean towards Irish Rainbow for Milwaukee moving forward. But if for whatever reason that doesn't happen, I think their next best choice would be something very similar (at least in color scheme) to this throwback. The fade from white to purple in the wordmark is great. Are there other jersey's that do that? 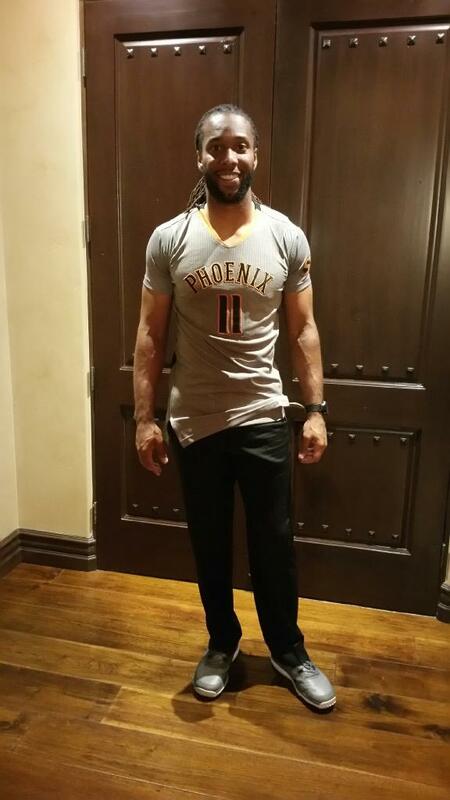 Also- the new Suns' sleeved alt would look fantastic without the sleeves. Love the font and the way the orange and black pop off the grey. Nicely done. It does look a whole lot better actually. You should take as stab at the Bucks logo/colors based on the info in this thread. This set is horrible. Add some sheen to those and you have the Mavericks short lived garbage bag jerseys. Unpopular opinion, apparently. But I see nothing wrong at all with any of the Bucks' current logos and uniforms. Okay, the logo isn't the best logo ever, but I don't think it needs to change and I do like it. I really like the uniforms. Out of all the newer uniforms that have come out, they rank somewhere at the very top with the Nets and the Cavs. Yeah I really don't think they're as hideous as everyone makes them out to be. It's a modern design that isn't over the top. I prefer this scheme to the green and purple. I feel like the rockets have a way worse wordmark, although I also don't hate our uniforms as much as most. Nor do I like our alts as much as most do. I like the idea but not the execution. Has there ever been a worse uniform in history than those shooting stars? The gradients are bad, obviously the whole concept is garish, but the generic font topscit for me. An awful concept with clip art execution. This probably doesn't mean a thing since it's just a mascot, but i've never seen Clutch the Bear wearing anything other than the primary away uniform. 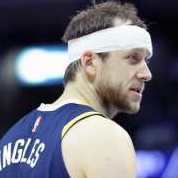 Last night against the Brooklyn Nets, he was wearing a throwback that looked slightly different from the real throwback. It had the same wordmark with the lower case t and all but overall looked different to me(perhaps more edged?). It also had a 2 tone waistband instead of the solid color waistband the original throwbacks had. Anyway, it's probably nothing, but i'm just hoping it might be a sign of things to come with the rumors of new uniforms soon. 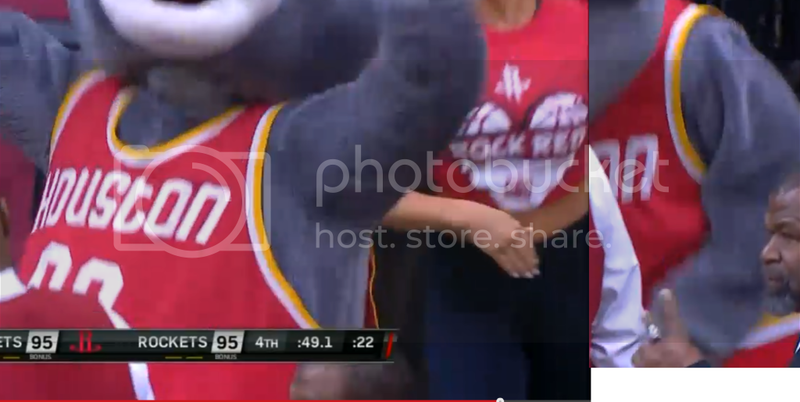 I'm of course just happy to see that brand identity more and more at Rockets games and merchandise. Great find..would be a huge upgrade if they went this route for next year. I actually don't mind this sleeveless. I think grey works for them (eg. ashes). With a few tweaks that could be a solid alternate. 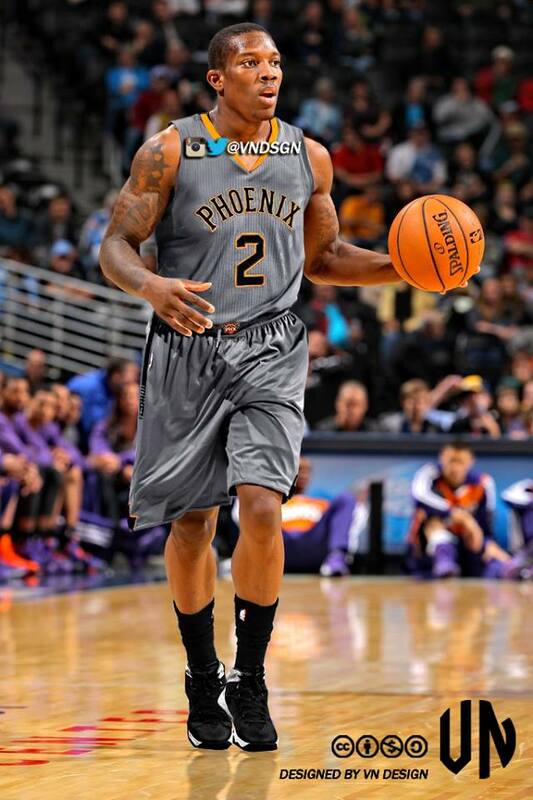 Agreed, these Suns alternates would look fine if they were sleeveless. As a side note, I don't know why those gray (silver?) Mavs jerseys were so hated. For the sake of argument, I would say that teams that wore black, shiny uniforms (like the Heat, Bulls, and Sixers, off the top of my head) looked more like garbage bags than the Mavs did in their alternates (not that I personally think any of them looked like garbage bags). I don't see (and have never seen) anything terribly hideous about the short-lived Mavs alternate. I've worn (and still wear) basketball shorts of that color/style to the gym, playing basketball, etc. I agrer...maybe add the sunburst under the Phoenix or something and Voila the grey works!! Btw its definitely a part of their color scheme and not a GFGS imo. Phoenix should just ditch what they have now and go back to the font used on those alts for all their jerseys. That's an absolutely beautiful script. Agreed. Less dated than the one they have now. Maybe it's because I started following the Bucks in the double green era, but I'm really not understanding why I keep hearing that people actually liked the purple unis nowadays. I remember them being nearly universally loathed, with a lot of questions as to why a team in Wisconsin was wearing a color that was so closely associated with the hated Vikings. The only way I could see purple working is if it were the secondary color with green as the primary... which is why my favorite uni from that set was the deer head alt.